Awhile back we mentioned that there was something new at Vintage Knits. Well, time has passed, and I just remembered that I never updated you on our new arrivals. 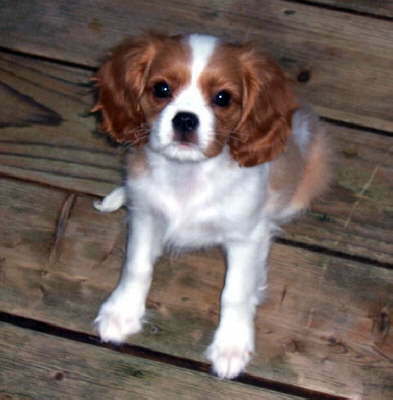 Our little Cavalier King Charles Spaniel girl, Nadia, had her first litter. 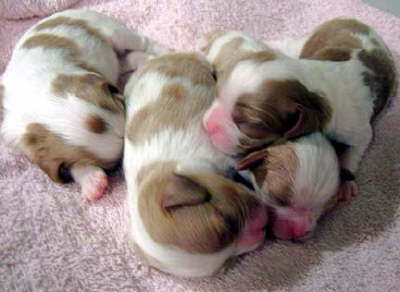 The puppies ranged from 4 to 6.5 ounces at birth. 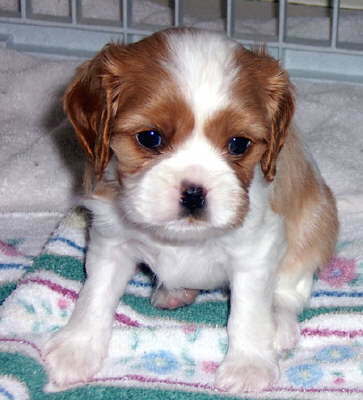 Here are pictures of the puppies. Pictured from left to right are all four puppies at one week old; one puppy at 4 weeks old; and how they look at 12 weeks old. Click the picture for a larger view. The puppies got most of our attention for the past couple of months. That is quite clear from our lack of posting, and the fact that our pattern piles keep getting larger, but not on our on-line shop. It took a little time getting use to the puppies, but now everything is back on track. Now, back to knitting related things … Check out our book department for over a dozen new titles. 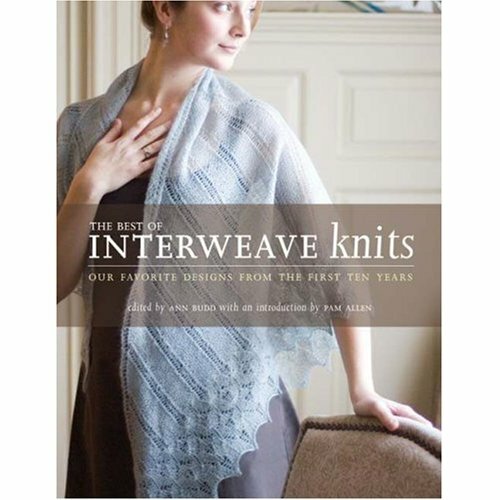 One of the most notable titles is the Best of Interweave Knits. This book has some of the editor’s favorite designs from the first 10 years. 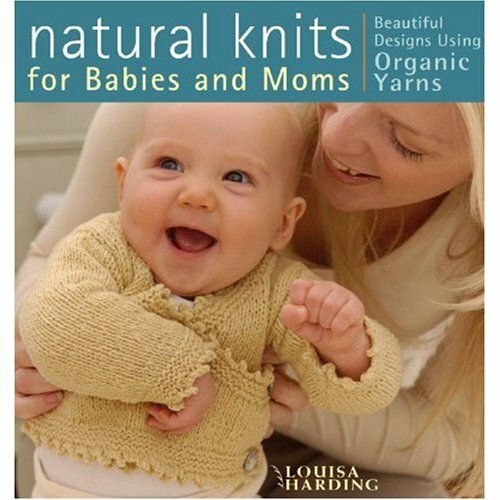 Other great new books include Natural Knits for Babies and Moms and The Twisted Sisters Knit Sweaters. Natural Knits for Babies and Moms has some wonderful patterns for your little ones. All of the patterns use natural fibers, and are written very clearly. Our customers seem to love this book, and make several projects from it. 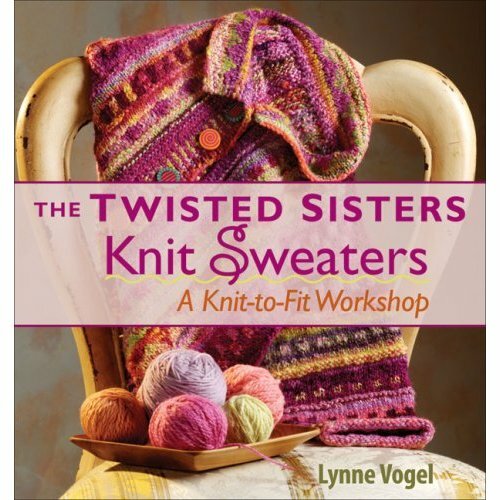 The next featured book, The Twisted Sisters Knit Sweaters, is not an ordinary pattern book. Yes, it has several nice patterns in it. But, more important, this book teaches you how to design a pattern that will fit your body. It is an invaluable reference. 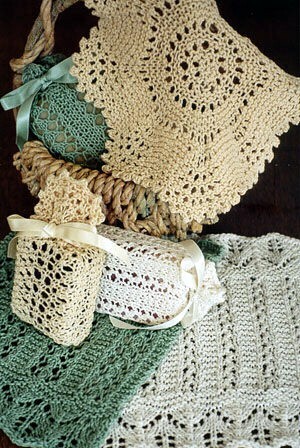 We have also added some patterns to the on-line shop. 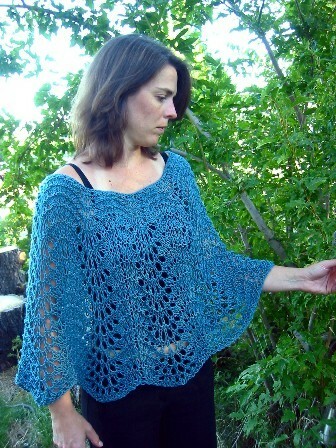 A lovely lace poncho from Knitting Pure and Simple, felt and lace projects form Fiber Trends, and trendy sweaters from Karabella Yarns. 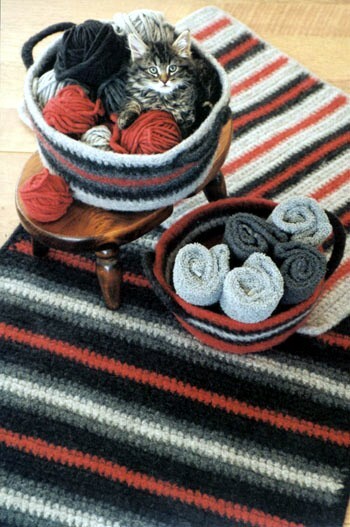 All of our new books and patterns can be purchased at our on-line catalogue. For large purchases we offer either a 5 or 10% discount in addition to our already discounted prices. The coupon codes are on the front page of our on-line catalogue, and on our main website, under the specials section. One final thought — my customers seem to always choose parcel post shipping. Remember that this is the slowest mail delivery. Although the post office lists transit times, these are only “estimates” and are not actual transit times. If you are ordering for Christmas gifts, you should probably pay a few cents extra and choose priority mail. We just had a package take over two weeks to get to a customer. It was sent parcel post as the customer requested. That made us a little nervous, as we knew that we mailed the package, but had no idea what the post office had done with it. Everything turned out alright. But, I would hate to have a Christmas present (or any package) get delayed like that.